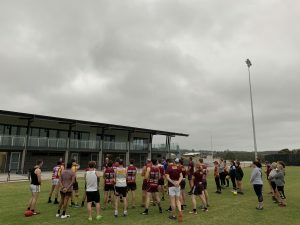 The Hawks seniors enjoyed their first ever training run on the new 15 million dollar facility with over 60 players in attendance. The club has branded this coming season as “A New Begining” and with the feeling of Thursday nights session, it is just that. The new nest has four dressing sheds that convert into two enormous change rooms, the playing surface is in great shape and is a massive length of 160+ meters. Far from what the players have been familiar with at the old ground. 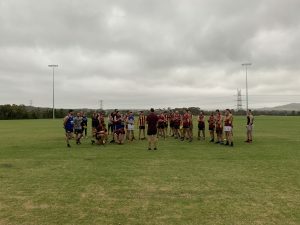 Rowan Bilkey and Doc Tomlinson lead their first session as coaches of CAFC putting the group through a structured skills session and finished with some specific footy fitness. All up the session was finished in under 80 minutes. At the close of session coaches mentioned “they were pleased with the numbers and the effort of both the men and woman’s group throughout the session and it was fantastic to welcome many new recruits” the coaches also reinforced to the group the importance of attending all sessions pre Christmas as it’s an important block for both the men’s and women’s playing groups heading into 2019. 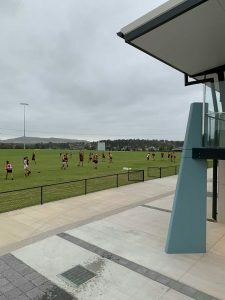 Pasterfield Sports Complex, Horizons Ave Cameron Park.